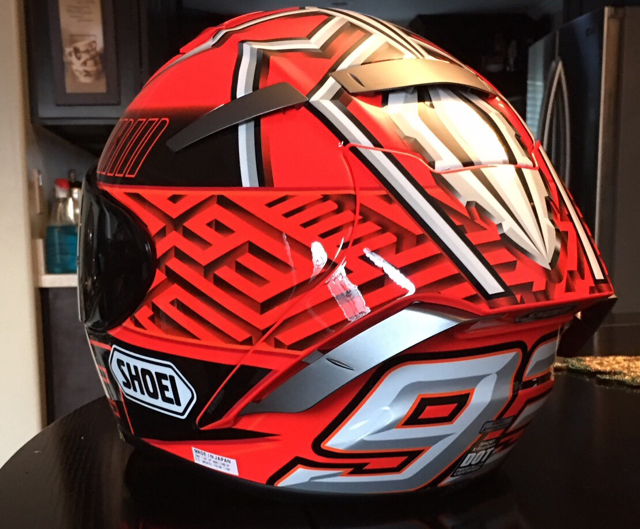 For Sale: 2017 SHOEI X-14 Marq Marquez Moto GP Helmet worn twice like new Size Medium. $690.00 SOLD!!! 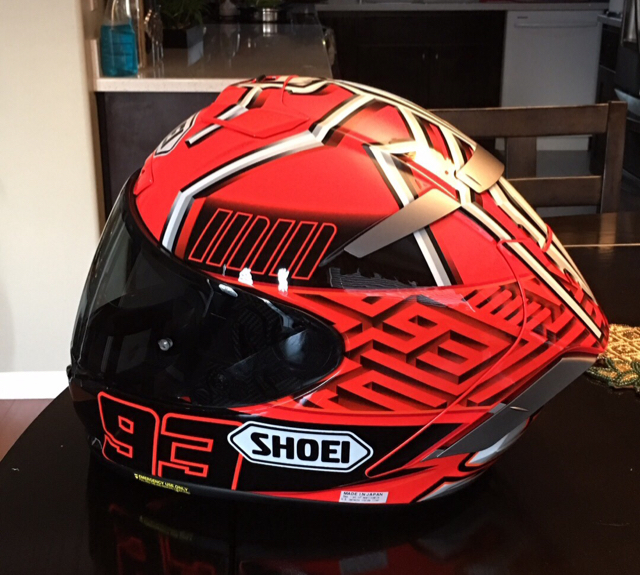 2017 SHOEI X-14 Marq Marquez Moto GP Helmet worn twice like new Size Medium. $690.00 SOLD!!! 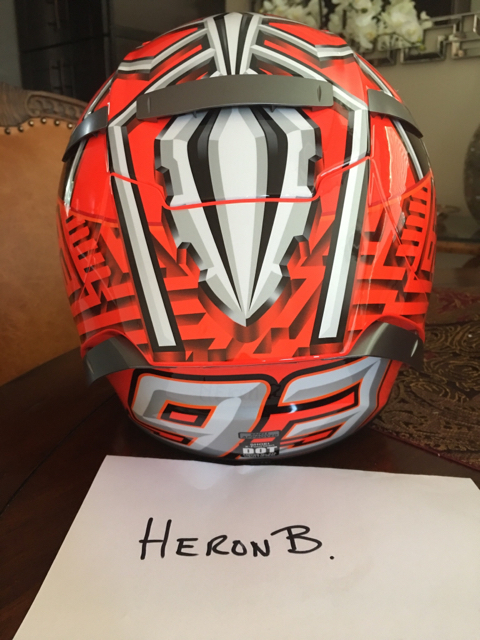 helmet like new worn twice Size MEDIUM 57-58cm. I'm a non smoker. NO smoke shield. Pic just to show how it looks. I still have the original receipt I paid $850.00 if needed a copy. 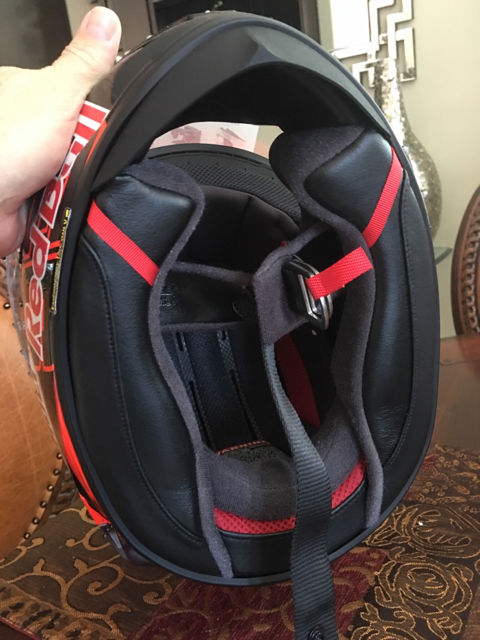 This helmet is awesome, light and comfortable no scratches, no odors, very aerodynamic very quite. 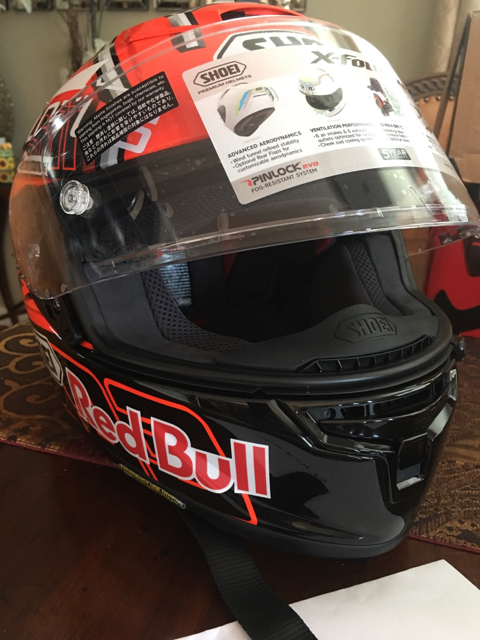 Lotus, RedBull and Drudi performance stickers are removable if you don't like them. I purchased a new X-14 different color. Price is $690.00 shipped CONUS plus 3% PayPal fees NO Friends and family. OBRO. 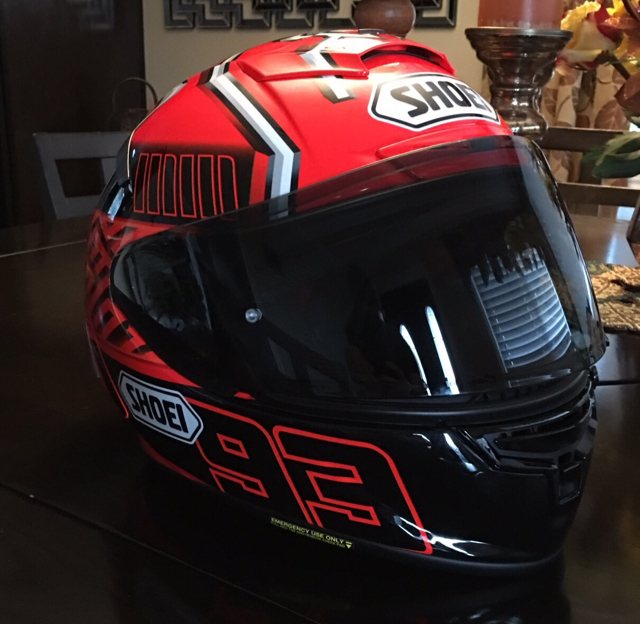 Helmet retails at stores $830.00 + tax. 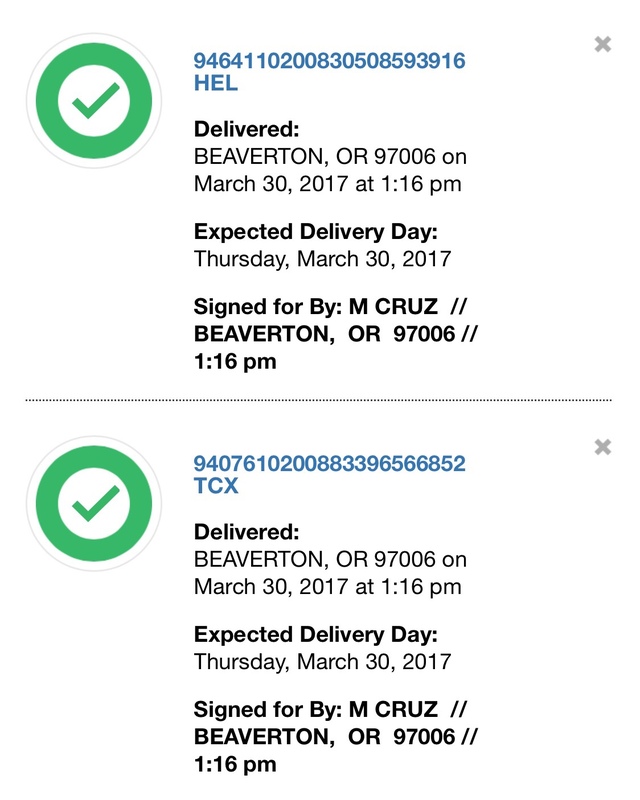 USPS Notice left ( No secure location available) 2nd you haven't replied. Please reply or you are trying to pull a fast one on me. 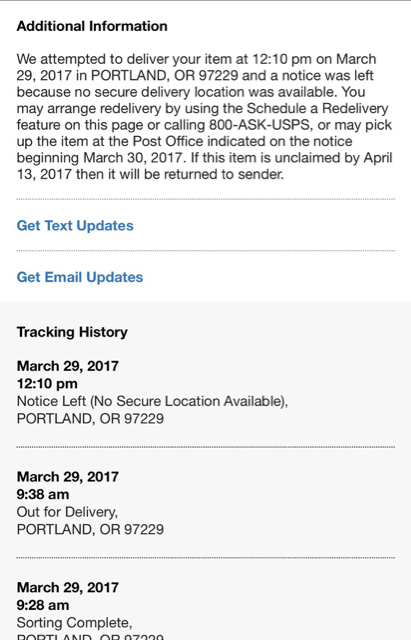 Additional info from USPS. since you not reply. 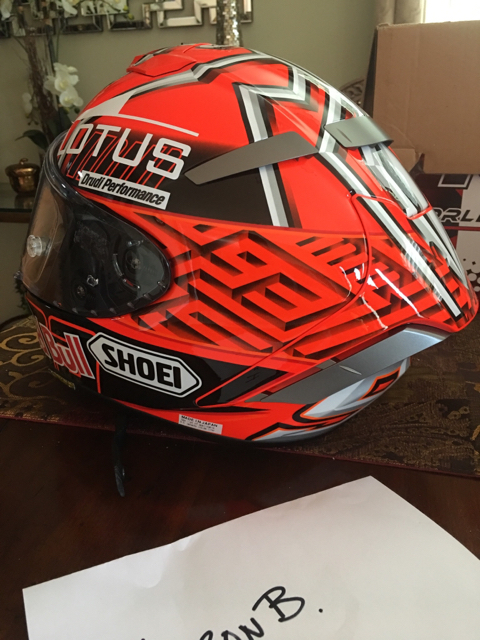 Shoei X-14 Márquez Helmet and Ducati TCX Boots delivered and signed by Mic_Cruz.